Your home is your escape, your space, your area of relaxation. Give yourself the gift of time and let Mobile Maids clean your home the way it should be. Have you decided you need an extra hand with cleaning? Whether you need help cleaning your home as you move out or you need someone to come clean on a regular basis, a our professional cleaning service in Mobile, AL, can help you keep your home in top shape. If you dream of walking into an immaculate home without taking the time or effort, Mobile Maids is ready to help. With our regular house cleaning service, we provide you with an outstanding cleaning job at an affordable price. We all know how busy life can get – and house cleaning can often be neglected. What happens when cobwebs start forming and your floors are getting dusty? You book the best cleaning service in Mobile, Alabama and receive the best Maid Service Mobile Alabama Offers! Our dedicated cleaners are true professionals, so rest assured that your home will look and smell new when you come home to relax after a long day of work. Mobile Maids will review the space, develop a strategy to perform the job and waste no time in removing dirt, sanitizing, vacuuming, mopping and cleaning areas that never receive attention. 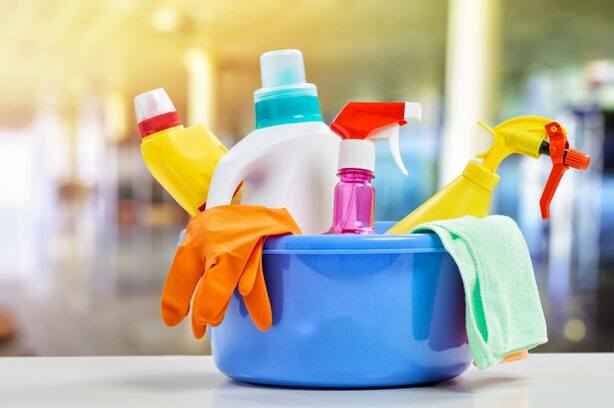 Here at Mobile Maids, we understand our customers have very high standards and that’s why we offer a house cleaning service that is customized to suit individual requirements. All of our Mobile AL Maids are highly trained, full-time professional cleaners; totally reliable, fully insured and DBS checked. They are supplied with the latest cleaning equipment and professional cleaning products ensuring a perfect, hygienic clean, each and every time! No matter what domestic cleaning services you need, Our premier Maid Service in Mobile, AL, will tailor a service to fit your needs and budget. When you need a professional Mobile, Alabama, cleaning service which provides consistent high-quality cleaning to meet your own very high standards, Call Mobile Maids. Choose The Best Maid Service Mobile AL Offers? Why should you entrust your home and your belongings to Mobile Maids? Our promise to you is the same promise we have made thousands of satisfied Mobile Alabama maid service clients. When we’re in your home, we consider it to be just as worthy of care and respect as our own! We guarantee our work and promise 100% customer satisfaction. There’s no hassle or anxiety when you hire our Maid Service in Mobile, AL. There’s no other house cleaning service in Mobile, AL, that can compete with our level of commitment to our clients. Our professionally trained maids are hand-picked from thoroughly screened applicants, and meet the highest possible standards for both skill and dedication. We also offer some of the most flexible packages. You can hire a Mobile Maid Service to do your bathrooms and floors every week, request a team to do a full house intensive clean in preparation for the holidays, or just ask us to come in and wash windows once a month! Our maids even bring all needed cleaning supplies with them, so you don’t have to worry about shopping for or storing them. If you give us a key, you can have peace of mind knowing that each of our maids is bonded and insured.